Tramadol may be used to treat restless leg syndrome. 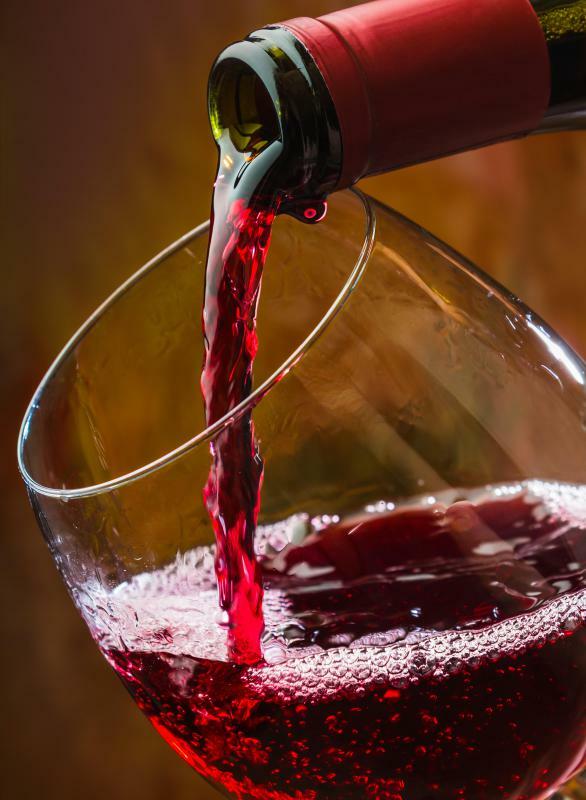 Individuals taking tramadol should avoid drinking alcohol. Pregnant women should not take tramadol. Tramadol is sometimes prescribed off-label to treat migraines and drug withdrawal. 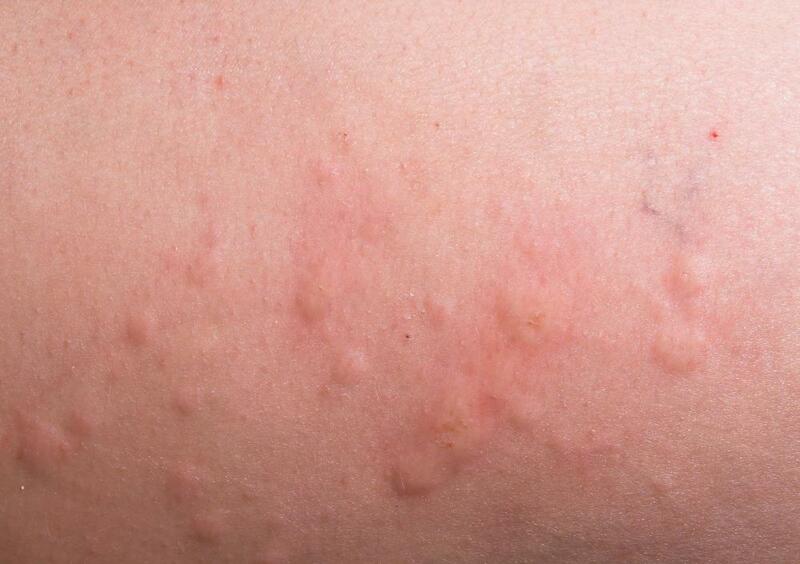 Some individuals may experience hives as part of an allergic reaction to Tramadol. 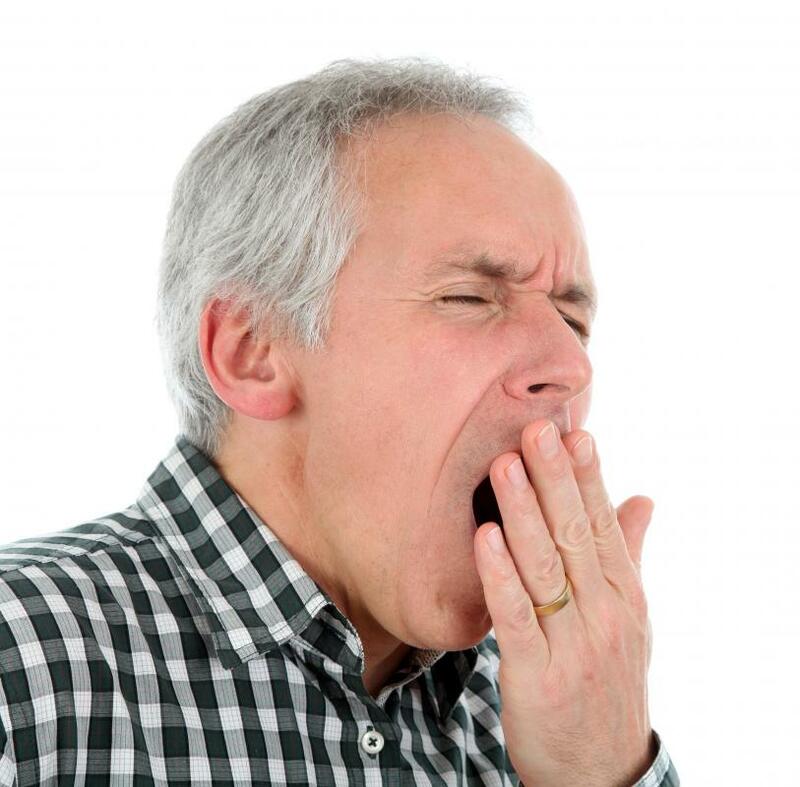 Drowsiness is a common side effect of Tramadol. 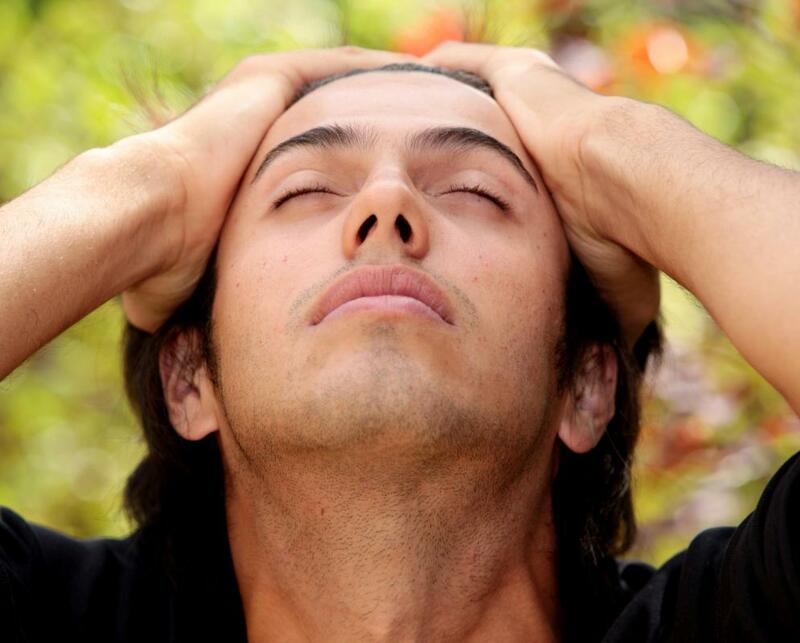 Headaches can be a side effect of taking tramadol. Tramadol or Ultram® is a German invented pain reliever created in the 1970s. It is quite different than other prescribed pain relievers like codeine or hydrocodone, and generally considered far less addictive, though people can become addicted to it. The drug has similar action to certain antidepressants, particularly the medication Effexor® which is a selected serotonin reuptake inhibitor (SSRI). Most often tramadol is prescribed to treat pain associated with various forms of neuralgia. Other conditions for which tramadol might be used are called off-label or investigational and these include restless legs syndrome, migraines, withdrawal of other more addictive medications, fibromyalgia, and obsessive compulsive disorder. The medication may be a preferred drug for people suffering from chronic pain conditions because it tends to be well tolerated without huge risk of addiction or serious side effects when used appropriately. However, there are dangers, as with any medicine in overusing Ultram®, and many people who stop using the medication suddenly do suffer withdrawal symptoms. Ultram® is a central nervous system depressant and it shouldn’t be used in combination with other things that can depress the central nervous system. Those who take this drug should avoid using alcohol, taking tranquilizers, or any other medications that can suppress breathing. Common side effects in regular dosage can include nausea, diarrhea, headache, dizziness, drowsiness and constipation. Withdrawal symptoms if the medication has been taken for a long time can include sweating, anxiety, poor sleep, pain and tremors. If people have taken tramadol for a long period of time, they should work with a doctor to plan safe withdrawal from the medication. Allergy or sensitivity to Ultram® is very rare but may include hives, trouble breathing and dizziness. Symptoms of chest pain, depressed breathing, seizures or rapid heart rate are medical emergencies, but again are extremely rare. Certain medications are contraindicated when Ultram® is used. It should never be used with other SSRIs (Prozac®, Zoloft®, Paxil&reg, Luvox® for example) since this can cause a rare complication called serotonin syndrome. Severe cases of this condition may result in seizures and death. As much as having serotonin is a good thing, too much in the body is potentially deadly. Other drugs that hazard some risk of creating serotonin syndrome include monoamine oxidase inhibitors, or first generation antidepressants. When patients take any type of antidepressant they should make sure doctors are aware of this fact before they take tramadol. Using this medication is also not advised for women who are pregnant or nursing babies. Others who should avoid this drug include those with heart or kidney disease. People with recurrent or chronic breathing conditions should inform doctors prior to taking Ultram®. Some common drugs lower the effectiveness of the drug. These include carbamazepine, an anti-seizure medication that is also widely used as a mood stabilizer in patients with bipolar disorder. Quinidine, which regulates heart rhythm, may make the pain fighting action of Ultram® less effective, also. There are several ways to take tramadol. It comes in capsules, tablets, suppositories, and in injectable forms. Some preparations of the medication include other analgesics like acetaminophen or anti-inflammatory agents like aspirin. The recommended dose is usually no more than 400 mg per day. It is especially important to use this medication exactly as prescribed, for the length of time prescribed. It should never be shared with others or used in a manner not advised by a physician. What Are the Different Types of Tramadol Tablets? What Are Nervous System Depressants? Like many things in life, tramadol can be useful in moderation. Finding the right dose is critical and may be more or less effective than prescribed. Drug interactions can be quite tricky even for toxicologists and pharmacologists due to the myriad possible computational factors as our species all react differently to some degree. To be on the safe side caution should be foremost and should serve everyone with a safer long term treatment. It is also possible that an interaction will occur between a drug and another substance present in the organism (i.e. foods or alcohol). Or in certain specific situations a drug may even react with itself, such as occurs with dehydration. In other situations, the interaction does not involve any effect on the drug. In certain cases, the presence of a drug in an individual's blood may affect certain types of laboratory analysis (analytical interference). I twisted something while lifting a full ice bag in early July. I went to a walk in clinic where they gave me cyclobenzapr 10 mg, one tab three times per day as needed. They also gave me Tramadol hci 50 mg, two tabs every six hours as needed for pain. It did not make any difference at all. It did not make be sleepy and did not reduce the pain. After I ran out of the Tramadol, I just used over the counter acetaminophen, aspirin and Ibuprofen. I felt they actually lessened the pain as well as the Tramadol. 750 and the Hydroco/Acetaminophen 325 mg steroid shot. I felt amazing for about 24 hours and I feel less pain with this combo. I am so glad to read this site. If I ever am prescribed Tramadol again, I will decline it and ask for an alternative. I know mine is just short term usage but hell, it does not work for me and could cause problems. Good luck to you all. I hope those who need to get off it find a better substitute, and those for whom it works for don't have any of those problems. Tramadol is a good mood stabilizer. It is safe if taken in low doses. People on here posting about nightmare withdrawals, etc., are taking way too much, by the sounds of it. Tramadol is a drug that can kill and damage your organs and in the long run will destroy your kidneys. You guys should stop taking pain killers. In fact, all medicine pills are toxic that fix a problem temporarily, but destroy your entire system and balance in your body. I wish I had researched it myself early about this before my beloved dog died because of the Tramadol. I started taking Tramadol three years ago. I was suffering with migraines and they worked straight away while making me feel happy and frequently better about myself. Three years on, I have lost my job, been diagnosed with schizophrenia and bipolar disorder and lost everything. I don't completely blame this pain killer, but it became a part of my everyday life. It is a dangerous drug and should only be used if it's prescribed by a doctor. I was just too stupid to listen to friends and relatives. I have moderate pain in my neck post football injuries from playing high school, college and semi pro football in the 70's. I was taking four or five Aleves per day for years for the pain. Tramadol is an excellent pain med for me. I just take three or four 50mg per day, and my pain is better. Like all things in life, too much is bad. Aleve and Celebrex appear to cause heart issues, so I will take my chances with Tramadol. @post 11: Fluoextine is actually an anti depressant to treat major depression. I've just begun to take tramadol now after years of being on codeine, plus other medication. I'm a complex person of 48 years with many disability problems, but already feeling the benefits of the meds with codeine. It made me feel light headed, warm and good. I could still feel the severity of the pain, but with tramadol, I feel in control and am getting more pain free moments. I'm currently on 50mg eight times a day, and while it's under control by my doctor, I'm satisfied with the results I'm getting. To be honest, most of the side affects on tramadol I suffer from anyway, due to the illnesses I have already, so difference-wise, there isn't any and with the other meds I'm on. I feel in a good controlled place at last. I've been taking Tramadol for five years for severe joint pain. Now I have lost a considerable amount of weight, I have started a safe withdrawal with my doctor's supervision. I was on 400mg per day SR but now take 50mg per day moderate release. It has taken me a year to get to this point and there are side effects such as shakes nausea and join pain. My next move will be one every other day, although I think this is going to be a difficult stage to overcome. Having said all that, Tramadol has been my lifesaver in the past allowing me to function as normally as possible. I think a lot depends on your personality and whether this is the right drug for you. Always consult your doctor. I have taken Ultram for over five years. I had both shoulders with adhesive capsulitis and had great pain. I am now down to two a day, 12 hours apart. It is the most addictive drug that I have ever taken, worse than Lortab ever was. I took Lortab for over a year and quit cold turkey after my pain subsided. pills but it takes too long to feel "normal" so I am doing it gradually. To give you an idea of "gradual", it took three months to go from six to four, and two months to go from four to two. The most important thing that I noticed is that you must get your body used to taking only one at a time. Everything that has been said (both negative and positive) is true. I was an emergency room doctor and got addicted to morphine, fentanyl, and demerol. When I finally got busted, I lost my job and started taking tramadol because it was easy to get. I have been addicted now for 10 years. I'm 40 and I have had four seizures. I can't take more than 20 tablets a day or a seizure is almost guaranteed. In praise of Ultram or Tramadol. I have had severe pain from multiple herniated discs, arthritis and neuritis in multiple joints and have tried everything for relief for the past 5 years. I can confidently say that Ultram or Tramadol is the only prescription that provides enough relief to maintain the basics of living. I did once have a problem with forgetting that I should not drink and drank wine on an empty stomach and got abnormally loopy, so please be very careful. I've recently started dating this guy who apparently suffers with bipolar mood disorder but I'm not sure if he is an attention seeker and i think that he might be making it up because he is only on mild antidepressants: fluoxetine, and he also takes tramadol for back pain. all of these in the past so why is he being prescribed tramadol? plus he told me that there is no point in him taking any medication for his bipolar because it doesn't work when he takes tramadol. please can you advise me of the truth? I was prescribed Tramadol in December 2010 for the chronic pain of arthritis. I had been on many types of pain relief in the past which really did not work for the duration of the pain. Other than the usual side effects you expect of taking strong pain killers, Tramadol has helped control the pain well. Not a miracle at first, I must add, as my body needed to adjust to get used to it. The side effects in the beginning were quite severe. Feeling dizzy, fast heart beat, stomach ache, etc. However, once you get over the first week, the control of chronic pain is truly amazing! I was prescribed Tramadol for lower back pain which happened to me after a road traffic accident; I was taking approx 200mg per day for about a year. I knew I was becoming addicted to them as I liked the way they made me feel and missed this feeling when I missed a dose. I decided to come off them about four weeks ago and since then I have been experiencing severe depression and even suicidal thoughts which I have never experienced in my life (I am 40 years old). feel so bad mentally I feel like ringing the GP to get another prescription for the Tramadol, but then I do not want to be a slave to this tablet. does tramadol make anyone constipated. my bowel movements are all messed up. i have to take stool softeners with the medication. My boyfriend is addicted to tramadol for about two years now. We have only been dating for 10 months and i can honestly say he had me fooled. I have read that having seizures while taking this drug too much or too long is uncommon. Well, i am here to say it is not uncommon. He was taking about 25 to 30 pills a day so the 180 pills he would get online wouldn't last him that long. He just went through shoulder surgery six weeks ago because of taking this drug which made him have a seizure and he dislocated his shoulder. This is his fifth seizure in the last two years but the first one i have witnessed. I am torn on what to do at this point. His parents and i talked and i finally got the truth. He was addicted to loritabs first for five years was forced in rehab and they even tried putting him in the army, but he somehow got hold of some tramadol and had a seizure in the army and was medically discharged. This guy is very smart and i just don't know if i can believe anything he says. I was given the drug for severe hip pain. I don't really like taking any type of pain pills but when you need a hip replacement and it is too risky, then you have to have something to stop the pain when it is out of your control. I have taken the pill three times over the past six months and I think it is a very good pill. I got nauseated the first time I took it. The second time I cut the pill in half. That worked really good. Tonight I am taking it for the third time. I took the whole pill tonight and I was pain free within 30 minutes. But I can function normally. the side effects, for me, are not bad. As I read up on this drug I remember getting it over 20 years ago under the name Ultram. It was a good pill then and a good pill now. I am glad to know it is still a good drug for me to use after all these years, knowing that my hip is completely gone and needs replacing. I prefer tramadol over other pain killers by far. Hydrocodone makes me feel funny after two days of taking it. I've only thrown up on tramadol once! Tramadol makes me feel relaxed and controls pain and keeps my mood stable as well. I think it is a great drug if used correctly. is 8 mg/day dangerous? I am taking 8 mg at 10 a.m. every day. can anyone advise does it affect the liver, kidney or brain if it is used for one year or so continuously? @ GenevaMech- Tramadol does have more side effects than other opiate painkillers. The drug also interacts with more drugs than other opiates, making it especially dangerous when mixed. A kid I went to school with died from an Ultram overdose. He used the drug recreationally and mixed it with other painkillers and alcohol. It was a sad day when he died. He had a young son, and his fiancee was pregnant with another child. I personally believe that Ultram should be a controlled substance like hydrocodone, oxycodone, and morphine. In the town I grew up in, doctors would often give out Ultram in place of opiates because it would bring less scrutiny to them. The drug may not be as addictive as other opiates, but the increased risk for drug interactions make it equally as dangerous. A dentist recently prescribed my fiancée tramadol for pain relief. She had tooth problems, and the dentist gave her a prescription to hold her over until she could see an oral surgeon. She only took it a couple of times, and said the pills made her feel funny. She was feeling dizzy, and she was emotional (which is not normal). She has taken Vicodin and other painkillers before, so she assumed she would be all right on the drug. She was wrong. She feels that tramadol has more psychological and emotional side effects on her than other painkillers. She has since flushed the drugs, and is toughing the pain out with ibuprofen or acetaminophen.